Below you can view all the homes for sale in the Battery Heights subdivision located in Raleigh North Carolina. 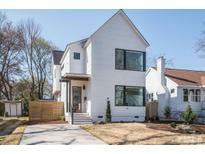 Listings in Battery Heights are updated daily from data we receive from the Raleigh multiple listing service. To learn more about any of these homes or to receive custom notifications when a new property is listed for sale in Battery Heights, give us a call at 919-928-5027. Super close to downtown and everything happening on New Bern Ave!! Walk to the new theater! MLS#2248998. 983. Outdoor living space has covered porch, extended deck, storage shed & fenced backyard! MLS#2246489. 2605. Make this one of a kind home yours and welcome to downtown! MLS#2244275. 5093. Basement level is below sewer line and requires lift pump. 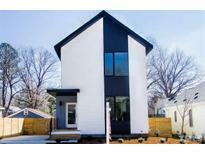 MLS#2245075. 3034. Also, you’ll find bonus and exercise rooms, awesome outdoor living areas and tons of storage inside & out! MLS#2243323. 4428. Short walk to Roberts Park w/new playground & tennis courts. Welcome to your new home. MLS#2241676. 297. So much potential for this diamond in the rough. MLS#2239018. 350. 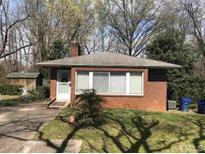 Great location in Battery Heights neighborhood close to downtown on Hargett St. Home needs work. Prime opportunity for redevelopment! MLS#2222020. 4428. Enjoy the Glenwood South atmosphere as well as the venues offered at Seaboard Station. MLS#2214219. 1296.